We flew from Bangkok to Cairo on the 21st of September. On the first day, we tripped around to Giza and the City of the Dead. Later that evening, we took the train to Aswan. Along the way, we stopped at Abo Simbel, Luxor, Karnak, Philae, Deendeera, Abydos, Hurghada and finally flew to Alexandria. We spent two days touring Alexandria. Taking in the new Library of Alexandria and Fort Qutbay as well as the Greek and Roman Catacombs under the city. We drove from Alex. back to Cairo where we toured the city in detail (Muhammad Ali Mosque, the Giza Plateau, Pyramids and Sphinx, Saladin’s Citadel, etc). We also took in Sakkara and Memphis and viewed the Red and Bent Pyramids as well as the Alabaster Sphinx and the Statue of Ramses II along with the Ziggurat of Zoser and the surrounding pyramids. Then we were off to Israel. We spent about 5 days in Jerusalem viewing the old City and took day tours out to Nazareth, Akko (Acre), Ceaserea, the Dead Sea, the Jordan River and Masada. We met an old friend (Mali) from my days in the MFO in the Sinai. And we got the excellent airport treatment for which Tel Aviv is so famous. But that’s a story for another day. Finally, we were on to Turkey. I wanted to see the Hagia Sofia. Primarily. That said, I was a bit anxious about Turkey. I’ve been to quite a few Muslim countries and Islam hangs over them like a pall. I don’t particularly care for it. It’s quite heavy and puts a damper on things. Israel did not have this except in the Palestinian areas of the Old City in Jerusalem. We arrived in Turkey and I was quite pleasantly surprised. 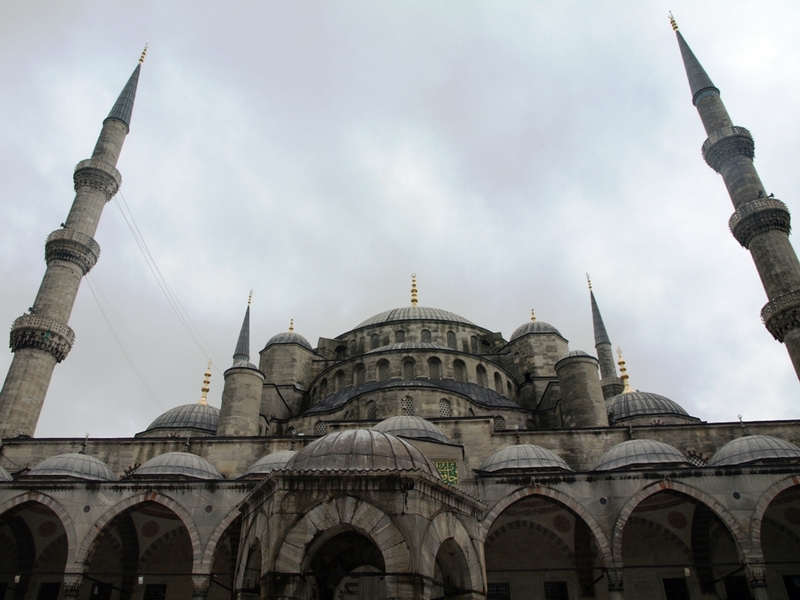 Islam is an undercurrent in Istanbul. They’re Muslim. You know it. They know it. No one gives a damn. I like that. It’s how it should be with all religion and it’s how it is in most non-Muslim places. It was refreshing. I don’t think I saw but 10 Chadori/Hijab wearing women and they all seemed to be tourists. Nothing oppressive in Turkey about religion. They seem to all get along. I met quite a few Nestorian Christians and they had the same attitude. We’re Christians. So what! There’s none of the demand that their religion be respected at all cost. I like that. Turkey was clean as well. That’s another thing about Muslim countries. They’re dirty and run down. Even newer places. It’s as if Allah has declared that “thou shalt not do maintenance.” lol Cairo is the worst. They built the city hundreds of years ago atop ruins. They didn’t remove anything. They cleared no land. Just started building atop the rubble. When those buildings started falling apart, they just built around them. And the dirt and grime. It’s everywhere. Not so in Istanbul. It’s a beautifully maintained city. Clean streets. And the people. Everyone was so nice. And they smiled. Very few mean spirited folks or scammers around. As a matter of fact, I can’t remember anyone even attempting a scam on us. We asked directions when we were lost and we were simply given directions. The food was great as well. They had these pancakes with beef or veggies or jellies. Whatever you wanted. AND THEY WERE DELICIOUS. Of course, the Lamb Kabob was excellent. I ate so much kabob, I thought I was going to explode. The Hagia Sofia or Aya Sofia was wondrous. Incredible. Amazing. It was gargantuan. The famous religious depictions were beautiful. Centuries old Art. The Blue Mosque or Suleimein. One of the most beautiful structures I have had the pleasure to visit. More lovely inside than the Mohammad Ali Mosque in Cairo. Insanely intricate and well maintained as well. Simply beautiful. Can’t say it enough. We walked around the city several times. Stopped by a few museums. The Istanbul Archaeological Museum was huge. Relics from Troy, Persia, the Ottomans, the Greeks, the Romans, and everything in between. It was amazing. That is some serious history. There are also pieces of the Kaba’a from Mekkah and old keys and locks to the Kaba’a and the Grand Mosque there in Mekkah. I could scarcely believe my eyes when I walked in this room. When I laid my eyes upon the Sword of Mohammad, I thought I was seeing things. I had to rub my eyes. Take my glasses off and clean them and take a second to let it sink in. Imagine finding the sword of Genghis Khan or Alexander the Great. Imagine finding the actual clothing that Jesus wore or the actual cup and plate from the last supper. I’m no believer in any of these religions, but, I have a keen interest in history. As a personality from an earlier age and a great historical interest, I have much respect for Mohammad. He built an empire from nothing. He created a religion and a culture which has lasted for over 1300 years. It’s not his fault that his religion and his culture has been hi-jacked by complete asses like Osama bin Laden, the House of Saud and the followers of al Wahhab. That’s not to mention the Iranian fools. And, still yet, it doesn’t take into account the idiotic Apologists in Europe and America who sell their lies to an ignorant populace. At any rate, it was a singular experience for me to be able to gaze upon the Swords that Mohammad and his companions used to rise up out of the desert and plant the seed that created one of the worlds greatest empires. After Istanbul, it was on to Ephesus to see the Greek Ruins, the House of Mary where Jesus’ Mother supposedly lived out her last days and the Temple of Artemis. Next day it was on to Pammakule. These places are so full of history and culture that there is no possible way for me to do them justice. The Temple of Artemis is one of the Seven Wonders of the Ancient World. In this trip, we’d been fortunate enough to visit 3 of the 7 Wonders of the Ancient World. The Temple of Artemis, The Pharos of Alexandria (Fort Qutbay) and the Pyramids at Giza. In my estimation, Abo Simbel is a great worthy of this acclamation as well. 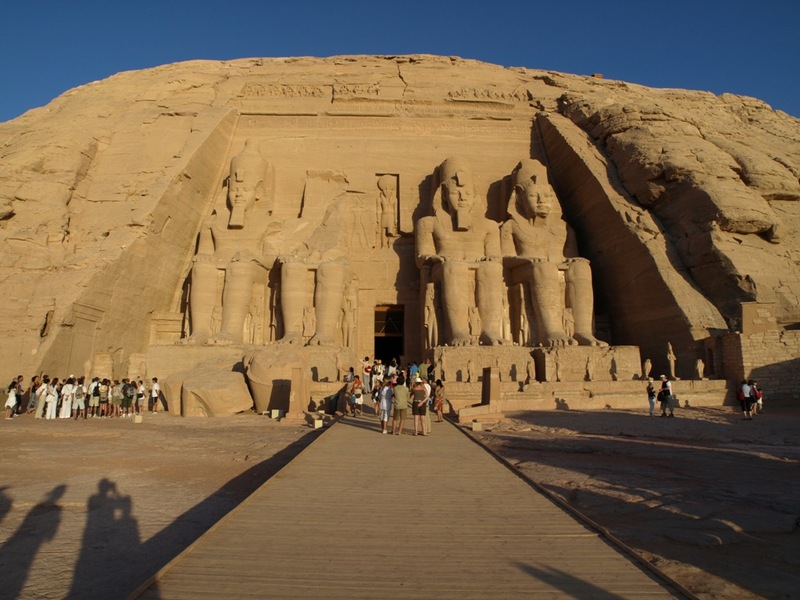 Abo Simbel is a wonder of any age much less to marvel that it was built thousands of years ago. But then again, Egypt is full of wonders that defy description, dazzle the eye and boggle the mind. From Cairo to Istanbul in 28 Days. This was a great trip and we all very much enjoyed ourselves. Quick hit. A few photos selected at random from our trip through Egypt. Jonathan, Unny and I are having great fun and Becca joins us tomorrow evening. Below is an excellent map of Egypt. 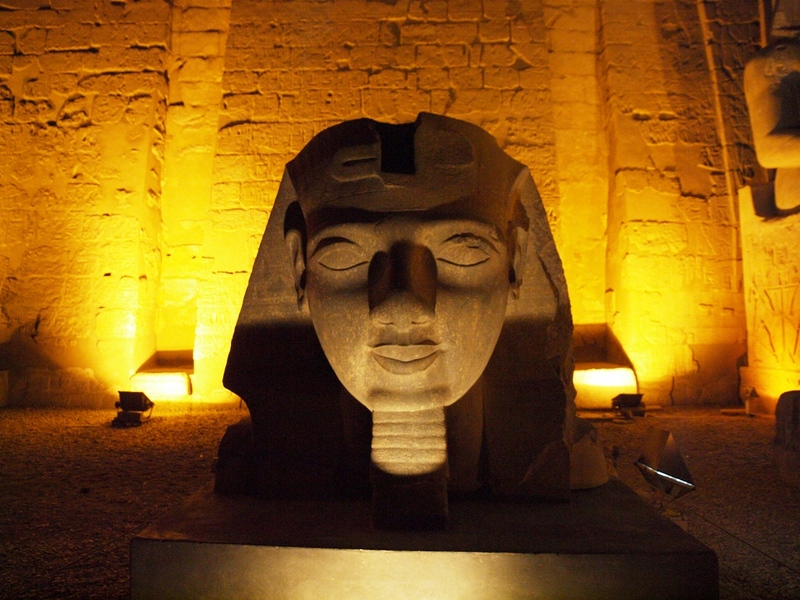 It shows allof the major historical sights from Pharaonic times to the present. The Pharaohs, Alexander, the Ptolemies to the Romans. It is an excellent road map with which to describe and follow the path of my recent Egyptian adventure. We landed in Cairo at about 6 AM. That first day, we napped til noon. Afterward, we headed out to see Coptic Cairo and the great fortress on the hill which contains the magnificent Muhammad Ali Mosque. This Mosque is a wondrous work of art. A celebration to God and all that was and could be great about Islam as a religion. Muhammad Ali is buried within inside a white mausoleum. We head back to our hotel for showers. And then head back out to see the light show at the Pramids and Sphinx. Next day, we were gathered up by Shaimaa and taken to the Pyramids and Sphinx at the Giza Plateau. We walked around those incredible structures and viewed a boat that was found in the 1940s. The boat was to be used to ferry the Pharoah across the river to the world of the dead. That afternoon we were driven south of Cairo to Sakkara to see the Ziggurat which is the earliest pyramid. We also took in the Red Pyramid and the Bent Pyramid. Huge structures. We climbed down into the Red Pyramid. It was…difficult. Afterward, we took lunch at an Egyptian restaurant. Pretty good food. That night we enjoy an evening cruise on the Nile. Taking in the sites of Cairo along the river Nile. Day 3 saw us traveling North to Alexandria. We visited the catacombs. Checked out some cool grave sites that are centuries old. Dating back to the Greek and Roman eras. Took in a couple of mosques and the new Library of Alexandria. All of the learning of mankind in one repository. A daunting task. We also visited the Pompeii Pillar. I’ve put a few pics of this up on another post. Lastly, we visited the Quitbay Citadel which is built on the site of Ptolemys Pharos. That night we jumped on the train that took us to Luxor. We were forewarned about the food on the train. So we grabbed some KFC to take along. I let them bring me a plate of food. It was as wretched as we were told. I don’t know who eats the stuff. Not even the Egyptians to whom we talked would eat it. The next day. We get up bright and early to take in the Valley of the Kings and the Temple of Hatscheput. We also roll over to the Valley of Artists. This is where many of the artisans who built and decorated the tombs in the Valley of the Kings and Queens were themselves buried. We also take in the Colossi of Memnon. This was my second favorite site in Egypt. Two giants overseeing the ages of man. Reaching out from the past. What message would they have for us if they could speak to us? The next day we drive to Aswan. We awaken bright and early. Along the way, we stop at Edfu and Kom Ombo. I think we arrived in Aswan at noon. We have most of the day to ourselves. So we go to the market. Catch some lunch at the hotel. We explore the city more and take in more of the markets. It seems the markets in Aswan go on forever. We don’t buy much. A couple of trinkets. This is where Adel leaves us and we are handed over to Fatima and a guy whose name I can’t remember. That night, we take to bed early. As day 6, we are required to arise at 2AM in order to catch our bus to Abo Simbel. Abo Simbel is my favorite stop on this tour. It is beauty. It is ageless. It is THE sign of the greatness of Pharaonic Egypt. It’s a long drive to Abo Simbel. And a longer drive on the return. We seem to have been placed on the bus with the slowest driver in Upper Egypt. In the afternoon, we take in a few more sites. The Aswan Dam. The unfinished obelisk. The Temple of Philae which is situated on an island in the middle of the Nile. 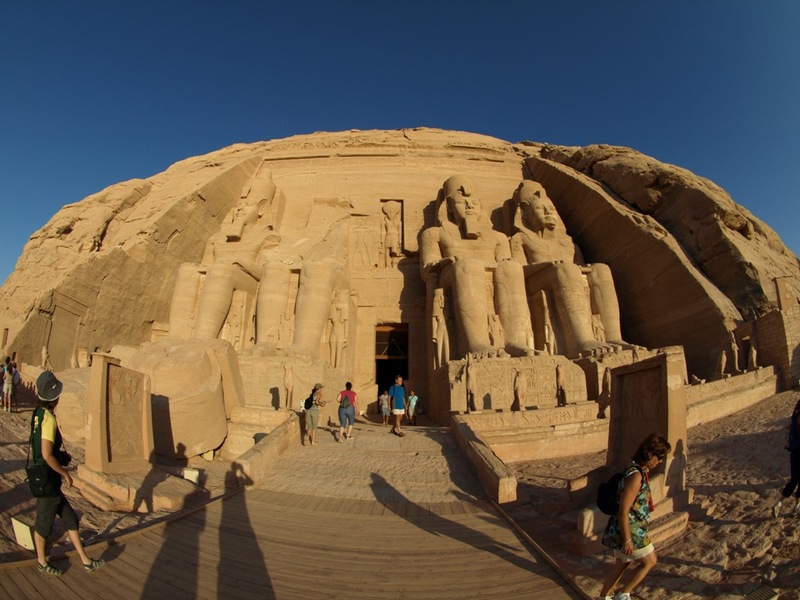 Tour guides aren’t allowed to enter Abo Simbel. They have their own. But when we returned to Aswan, Fatimah gave us a great tour of Philae and the other sites around Aswan. That night we fly back to Cairo. We are picked up at the Airport by Hamdi. The owner and operator of Adventure Egypt. Hamdi has taken care of our tour in Egypt. He did a good job of it. Although, the tour like everything else in Egypt was a bt pricey. Even so, he had a mammoth task on his hands in booking us through everything at the last moment. Even if it was the low season. That night, I stayed up with Hamdi and a tent full of Bedouin watching movies, talking and smoking sheesha or water pipes. Apple flavoured smoke. I had my laptop with me and my hard drive. So I gave these dudes about 30 movies. Kinda funny. A tent out in the desert with satellite TV, internet, desk top computer and 32 inch TV. I think he had a refrigerator out there as well. We sat up until 3 AM or so drinking tea, eating bread and cheese, smoking sheesha and laughing at Will Ferrell in Semi Pro. Day 7 (I think), we rise early. Check out of the hotel and tour St Catherines Monastery. Interesting tour. It’s built on the site where the Israelites camped and Moses brought down the Ten Commandments. After the tour, we headed back to Cairo. The last night, we stayed in the Mena House Oberoi. A beautiful hotel with views of the Pyramids. It was just the right place for our last night in Egypt. A little bit of luxury after our rugged tour of Upper and Lower Egypt. That night we decided to take in a bit of the Cairene night life. We didn’t see much. Pretty dead. It was a Sunday night though and we were in the wrong area. But I did meet a pretty cool gal named Nora at my Hotel. She was there for a wedding at the Khan Khalili room of the Mena house. She invited me up and we sat and talked for a couple of hours until she headed out with her friends. The next day, I got up late morning. Packed everything up and jumped on my flight back to Dubai. Departing Cairo is a bit of a mess. The Airport was crazy and disorganized. But I bribed the police to put me in the front of the line. So I got through pretty quick. I have to say that the most daunting task I have ahead of me is describing here on this blog these sites and experiences. I have not adequate words to describe Abo Simbel, the Temple of Philai. I know of no way to convey the sense of awe and wonder that one experiences upon entering tombs and temples that are thousand of years old but look as if they were but recently painted. Walking through Karnak and Luxor. Hearing the histories of the Egyptian Pharaohs and their people. Kom Ombo and Edfu. It is beyond my power. What words could I use. It is not possible to pass onto the reader the magnificence of these Pyramids rising out of the desert. These works of man are a marvel to be seen. Imagine the efforts and genius of the peoples who built them. Even so, all of this pales in comparison to the mighty river Nile and the surrounding deserts. I can’t begin to describe what I’ve seen, the places I’ve travelled or the people I have met. I will say this. The greatest Monument in Egypt is neither the Sphinx nor the Pyramids at Giza. It is Abo Simbel. It will take time to digest this trip. India and Egypt. Cambodia, again. Finally hit Laos and got trapped and flooded and washed out. But it was too much fun. Especially Avin. I’ve seen hundreds of pyramids. Great and Small. I’ve seen countless tombs and mummies. Monuments centuries old. Thousands of years old. Climbed Mount Sinai. Traveled the Nile. The Taj Mahal. Great Rivers the world over. It’s been exciting. An adventure. It’s been strange and wonderful. Surreal at times. Photography is forbidden inside Abo Simbel now. So I could take no photos of this magnificent monument to Ramsis II. The gallery below was given to me by Shayma. Our tour guide in Cairo. She was awesome. The first two pictures were taken by myself. The rest are her contribution. Thanks Shayma (if you ever read this).